Throughout January, artists from all over the world slipped into an abandoned hotel to tear up its floors, write all over its walls, splash paint over every surface they could find, and fill the rooms with strange things. From Feb. 5 to 13, the hotel opened tours to the public, allotting 25 minutes to explore the rooms. Every nook and cranny was put to use. A harrowing poem was written on one set of stairs, the back of a closet had been torn open for a covertly placed sculpture and a chair meticulously placed in an open window were only a few things that guests might miss on their first trip through. An attending artist, William Ishmael, was more than eager to point out details to guests. Duncan said the experience was very “unique” and that she was fortunate to have the time to check it out. “Sacramento doesn’t often have opportunities like this,” Duncan said. According to Sacramento area curator Robert Jean Ray, who helped to organize the exhibit, guests expressed a similar sort of admiration for the Art Hotel. Ray believed that a part of the exhibit’s attraction was owed to its unusual presentation. “(The art) has been taken out of its traditional setting and people appreciate it more,” Ray said. The Jade Apartments have been slated for demolition in conjunction with the construction of the Golden 1 Center, the new downtown arena and future home of the Sacramento Kings. The Hotel Marshall next door will be revamped into a 10-story Hyatt Place along with the arena construction. The hotel will include 163 rooms and retail space on the ground floor. 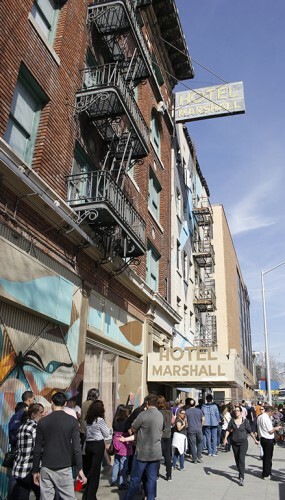 Hotel Marshall, originally named Hotel Clayton when built in 1911, formerly included a jazz club. 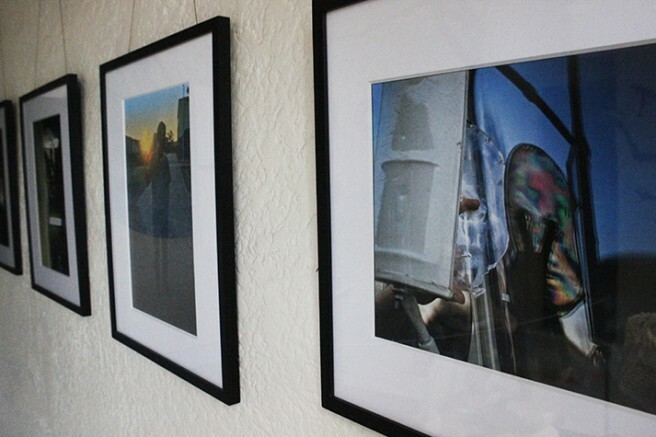 Be the first to comment on "Artists breathe life into condemned Hotel Marshall"